I'm still unsure about these, I am a Jeans girl through and through, I always reach for a pair of Jeans over anything else but I'm trying to branch out a little and loved the pattern on these so I'm hoping it will work out well with these. As above, not my usual style but I liked the pattern and I like the idea of wearing these. 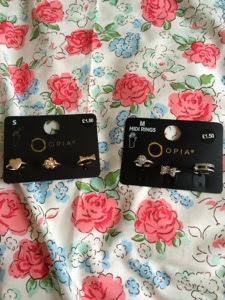 Another new venture into the world of midi rings, you can tell I was feeling adventurous, but I really liked the look of these and at £1.50 I figured they were cheap enough to try out. 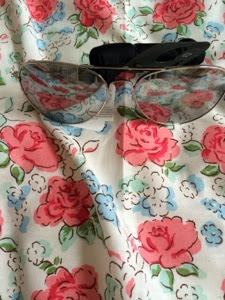 I bought the same glasses for £20 in Topshop last year, they're a mirrored Aviator style but the lens keeps popping out so I picked these up just to keep in my bag until I can find some new ones! 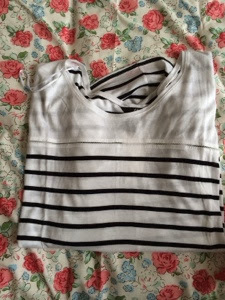 This picture does not do this top justice really, It's a striped batwing style top that i think will look really nice in the summer. 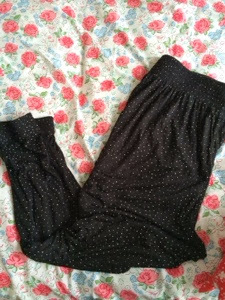 These are a thin loose pant, similar to the Primark ones above but in more of a t-shirt material. 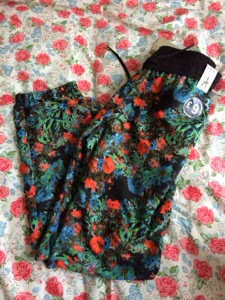 I bought these because I work from home most days so it's nice to have some trousers that you can just throw on and are comfy but aren't Pajamas. 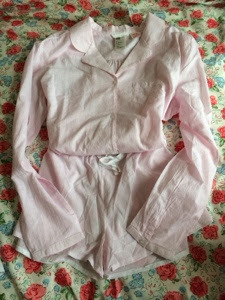 I'm obsessed with Pajamas and in particular Set Pajamas like this with shorts & a shirt, they're my favourite kind and I have a few sets from Topshop but they're normally quite hard to find, these are actually really nice and a good fit, they have a blue version that I'm tempted to go back for. 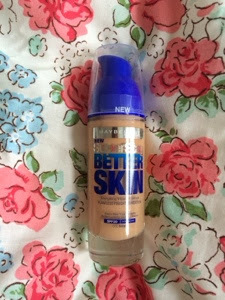 I picked this up on a bit of a whim, I hadn't heard much about it and I quite like it, my only issue so far is that it's a really dark colour, I got it in Ivory which is the second lightest shade but it's really orange which is a shame because I love the formula. I'll do a full review of this soon once I've had a chance to fully try it out. 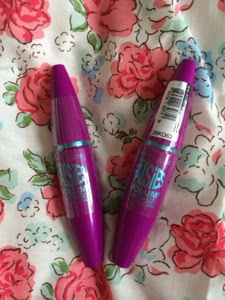 This is my current favourite mascara, I'll do a full review soon but it gives me length and volume which is my kinda mascara. 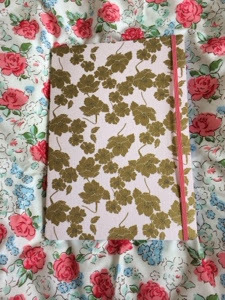 This note pad was too pretty not to get, gold and baby pink = win. So, that's everything, random but i'm happy with it all. 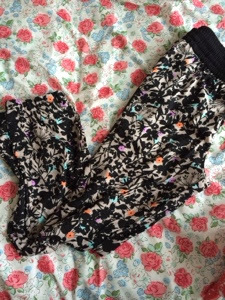 2 comments on "HAUL // Primark, H&M, Boots & Sainsburys"
Those primark trousers are really cute, I am definitely more of a jeans person too- it is good to try something different though!